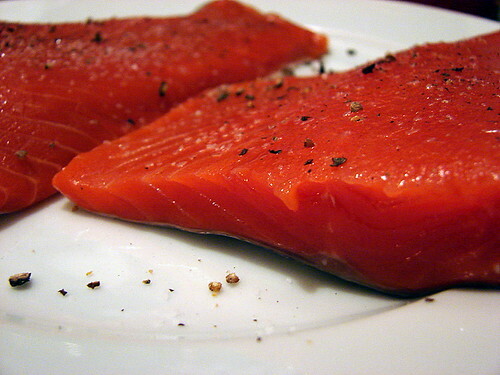 We eat salmon fairly often, as it is healthy, sustainable, and easy to prepare in a variety of ways. One of my favorite ways to eat it is paired with lentils – there’s something about the way the richness of the fish works with the earthiness of the lentils that is really pleasing. This is a simple but elegant meal that is great to have in your repertoire for nights when you don’t have a lot of time to spend on getting dinner on the table – start to finish it usually takes me a little over half an hour. For the lentils, I start by sauteeing a chopped shallot with a couple of tablespoons of olive oil and a pinch of salt. 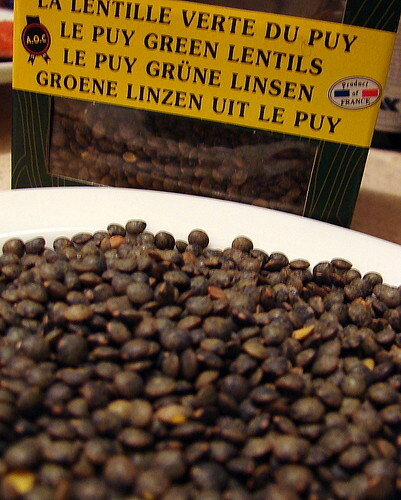 Once the shallot is softened, add a cup of lentils (I use the tiny green puy lentils, but you can use whatever variety you like – with the possible exception of red lentils, which won’t hold their shape), plus two cups of water and a sprig of fresh thyme. Cover the pot and let it simmer for 25-30 minutes, until the lentils are tender but still have a little bite to them. 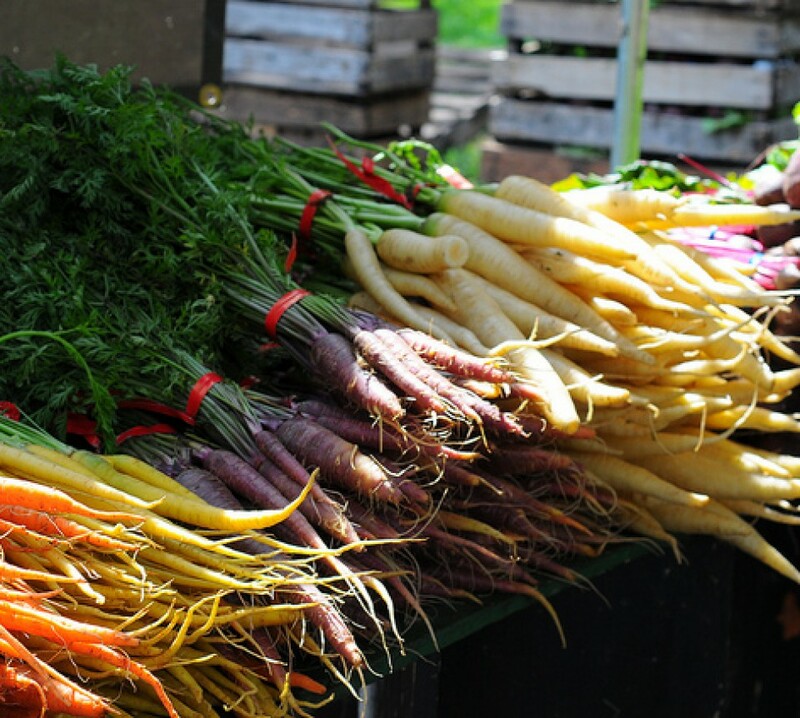 Once they are cooked, stir through about a tablespoon each of sherry vinegar and olive oil. 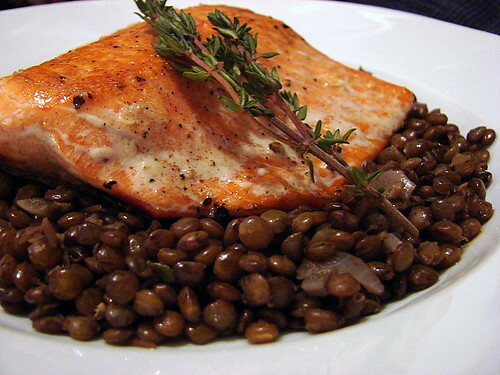 Using a slotted spoon, place the lentils in a shallow bowl and lay a salmon filet on top. Toss a simple salad, pour a glass of Cotes du Rhone, and enjoy.